The man speaking is a child psychologist by the name of Dr. Robert Cuther, an aging, semi-retired child psychiatrist who’s come highly recommended to me by my best friend, housemate, and blonde bombshell co-conspirator at the The School of Art, Robyn Painter (her real name, no pun). So the story goes, Cuther has been conducting therapy on Robyn’s eight year old daughter, Molly (named after my late twin sister), after we found her hiding in a second floor closet of the farmhouse that our two half-families share. The little blonde-haired, blue eyed clone of her mom had convinced herself the Boogeyman lived in our basement (he doesn’t, we checked) and that any day now he was going to abduct her and drag her down into his underground lair. Truth is, I’m not sure what to expect from the man who, with his thick, curly gray hair, short stature, wrinkly pale face, and old wool suit over black turtleneck, looks more like an over-the-hill Einstein than Freud. But I’m beginning to worry more and more about Michael Jr. and the voices he claims to be hearing, and speaking to Dr. Cuther seems like the reasonable solution. He’s also agreed to see us on a quiet Sunday morning so as not to interrupt school and work schedules, which makes him not only reasonable, but convenient. Little Mike peers at me with his smooth round face, little pug nose, thick head of dark brown hair that even at eight year’s old sports a lock that hangs down over his long forehead, just like his late dad. Sometimes, when he looks directly into my eyes with his big brown pools, I feel like I’m not only seeing his father, but that I’m once more looking into my ex-husband’s soul. “He’s not gonna give me any shots, is he, Ma?” Mike says, his short blue-jeaned legs hanging off the couch, his blue Converse sneakered feet in constant motion, like he’s jogging in place. Cuther laughs. It’s a genuine laugh. The kind of laugh a grandfather would make after a little boy made a joke about his gray hair or about the strange way his lips don’t move much when he talks. As though at his age, it takes a grand effort to make facial expressions. “Michael Senior…that’s my dad…he’s a writer,” Mike says. The mere mention of my ex-husband, Michael, and the word dead still throws a cold jolt up and down my spine. It also makes my stomach cramp, even more so than it has been of late. Me, giggling, but somehow feeling the effects of anxiety kicking in. Aren’t I here to relieve anxiety? I sometimes refer to Mike as Boo, just to differentiate him from his father, and not to remind myself of my long gone ex every time I utter his name. My son’s admission hits me upside the head. I’m well aware of the voices he hears coming from the cornfield. Voices I can only assume he’s making up with his overactive imagination. But seeing his father out by the cornfield is a new one on me. “It’s not voices really,” he says. “Can you explain more for me?” Cuther goes on, his deep brown eyes shifting from Mike to me and back again. The psychiatrist shoots me another quick glance. “You’re very brave, Mike,” Cuther says. Yet another glance from Cuther. The boy shakes his head, starts moving those legs again. “—Down!” Dr. Cuther interjects, his voice booming, despite those stiff lips. My son steals a moment to digest this information, like it’s impossible for him to imagine the short, gray-haired, old man has been anything other than what he is at this very moment in time. Dr. Cuther leads my son to smaller room located off his office that’s outfitted with art supplies and kid-sized tables. He sets Mike up with some construction paper and crayons, then closes the door, just a little. When he comes back inside, he sits back down behind his desk and sighs heavily. Lately there’s been talk amongst publishers, agents, and authors alike that E-Books might one day be offered to the public for free (ok, I know this is happening now, but I mean ALL E-Books). Instead of the reader paying the author/publisher, sponsors will pay in exchange for product placement inside the text. Since the books are read via electronic reader, readers will be able to link to specific product websites, and even to that author’s own books should the opportunity present itself. I wondered if a scenerio of sponsorship is realistic or if I even unintentionally mention the name of popular products and services inside the text of my books and more importantly, if I did so organically. In other words, do these products become included in the story because they belong there or because I might want them there in order to collect a payment? Here’s a small chapter of a new novel I’m working on, Moonlight Rises (the sequel to Moonlight Falls). Let’s see how many instances of product placement there are without me forcing them into the text (I’m not gonna link to all of them because I’m a writer more than a blogger and I’ve got a lot of work to do…but you get the point!). How long had I been asleep. An hour? Three? It had to be at least three. I looked at my fifteen dollar Target special wrist watch. Fifteen past seven. I’d slept for over five hours. I slid off the bed, more than a bit groggy. There was some blood smeared on the bed sheet from where I rolled over onto my side. I touched my shirt and found that it was wet. I turned on the lamp, pulled off the shirt and the old dressing, checked the wound in the mirror above the dresser. The stitches were still intact. I put on a fresh dressing and a clean shirt. I’d slept long enough. Time to get to work. Find out if Paul Czeck was who he says he was, and if he was in fact looking for a man whom he swore he was his biological father. I had the Dell laptop open on the kitchen counter, a Bud tall boy open beside it. Thank God for Verizon wireless internet. Allowed me to multi-task. I switched onto Google and typed in the name “Paul Czeck” in the search engine. Not a damn thing came up. Nothing about him belonging to a professional society of engineers, nothing regarding high school or college alumni. No Facebook page, or Twitter account. As far as the internet and social media was concerned, Czeck was anonymous. And considering he worked for a facility that dealt on a daily basis with classified nuclear information, maybe that’s the way it was supposed to be. I sat back, took a sip of beer. The pain in my side was getting worse. I tapped the wound gently with my fingers. It sent a small shockwave of sting up and down my side. The Lidocane had officially worn off. I got up, found the Advils in the cabinet above the sink, poured four into my hand. Sitting back down at the table, I swallowed all four with a swig of beer. Next search. I got the website for The New York State Society for CPA’s. Now there was some excitement. I typed in the name, Howard Roth. I got a single business address that was located downtown, Broadway. Not far from where those three thugs beat the snot out of me. I wrote the address down on a Post-a-Note, stuffed it into my wallet. Tomorrow I’d go pay a visit to Mr. Roth’s office, see if he did in fact look like the man in Czeck’s black and white photo, only thirty-plus years older. Next item. Maybe there was nothing noteworthy about Czeck on the web, but I could bet the mortgage he was located in the White Pages. And that’s the way it turned out. He lived in a North Albany suburb called Loudonville. Four Orchard Grove. It’s exactly where I would be heading that evening, soon as Georgie got here. So there you have it. You count the instances of product placement. And I’ll admit, I forced a couple in there, like the Target wrist watch one. But I did that to make a point: if as authors we wanted to cash in a on product placement, you see how easy it would be. However, I was shocked to learn that popular products and services do appear more than I thought in my work. I wonder if they appear often enough for these companies to pay the author for their appearance much like film production companies collect a hefty payment for product placement in their popular movies? Only the future knows. For now, I have to get back to work on the novel, and the all important climax which just happens to be taking place at McDonalds which this week is featuring oatmeal for breakfast and a return of the all beef, double…..
Vincent Zandri is an essayist and freelance photojournalist, and the author of the recent bestsellers, The Remains, Moonlight Falls and The Innocent . His novel As Catch Can (Delacorte) was touted in two pre-publication articles by Publishers Weekly and was called “Brilliant” upon its publication by The New York Post. The Boston Herald attributed it as “The most arresting first crime novel to break into print this season.” Other novels include Godchild (Bantam/Dell) and Permanence (NPI). Translated into several languages including Japanese and the Dutch, Zandri’s novels have also been sought out by numerous major movie producers, including Heyday Productions and DreamWorks. Presently he is the author of the blogs, Dangerous Dispatches and Embedded in Africa for Russia Today TV (RT). He also writes for other global publications, including Culture 11, Globalia and Globalspec. Zandri’s nonfiction has appeared in New York Newsday, Hudson Valley Magazine, Game and Fish Magazine and others, while his essays and short fiction have been featured in many journals including Fugue, Maryland Review and Orange Coast Magazine. He holds an M.F.A. 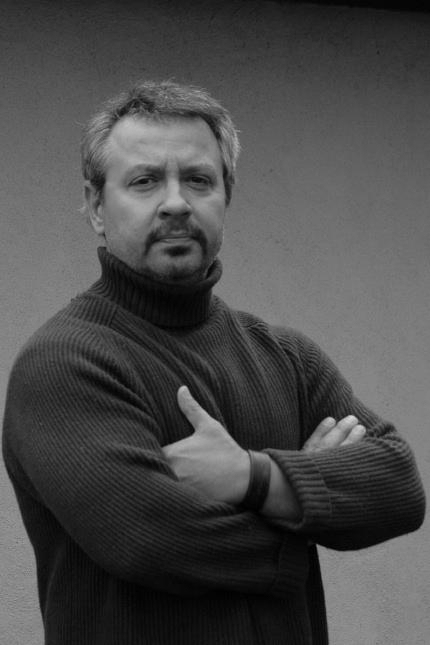 in Writing from Vermont College and is a 2010 International Thriller Writer’s Awards panel judge. Zandri currently divides his time between New York and Europe. He is the drummer for the Albany-based punk band to Blisterz. 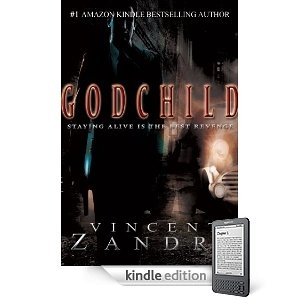 You can visit his website at www.vincentzandri.com or his blog at www.vincentzandri.blogspot.com. Connect with Vincent on Twitter at www.twitter.com/VincentZandri, on Facebook at www.facebooks.com/vincent.zandri?ref=profile and Myspace at www.myspace.com/vincentzandri.